Just because flame-resistant workwear is the requirement on your job, that doesn't mean you can't have high-performance, hardworking clothes like the other guys. Even when you add the high-visibility requirement into the mix, you still can have work clothes that fi ... (see full details) (see specifications) #1630007-11312. Just because flame-resistant workwear is the requirement on your job, that doesn't mean you can't have high-performance, hardworking clothes like the other guys. Even when you add the high-visibility requirement into the mix, you still can have work clothes that fit and feel just as nice as the regular ones. 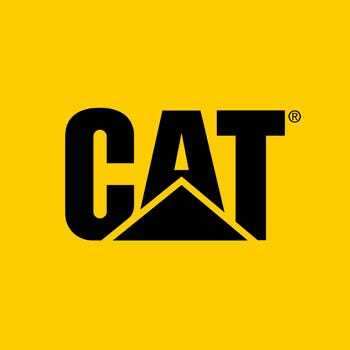 Performance AND safety in one - that's what CAT Apparel is aiming for. And they definitely hit the mark with this CAT Apparel Men’s FR Performance Hi-Vis 1630007 11312 Long Sleeve Crew Shirt. Safety certified and high performance, this inherent flame-resistant men's shirt offers the convenience of sweat management and made-to-work design with long-term protection for on-the-job safety. This high visibility long sleeve shirt features 3M Scotchlite segmented FR reflective tape on the front and back for more safety in low light conditions. This combination of color and taping earns this men’s FR hi-vis shirt the following certifications: UL certified to NFPA 2112, NFPA 70E, Cat.2, ANSI Class 3, and it has an ATPV Value of 8.2. This high visibility long sleeve shirt features 3M Scotchlite segmented FR reflective tape on the front and back for more safety in low light conditions. This combination of color and taping earns this men’s FR hi-vis shirt the following certifications: UL certified to NFPA 2112, NFPA 70E, Cat.2, ANSI Class 3, and it has an ATPV Value of 8.2. So when the job requires safety, you’ve got it, and when you want soft material, high performance, and a long-lasting FR men's shirt, you’ve got it with this CAT Apparel Men’s FR Performance Hi-Vis 1630007 11312 Long Sleeve Crew Shirt from Working Person's Store. CAT Apparel knows work, and they know safety. Work safely and comfortably with a high performance shirt that will outlast the rest and outperform the others. CAT Apparel Shirts: Men's FR Performance Hi-Vis 1630007 11312 Long Sleeve Crew Shirt is being added to your cart.